Hello there mommies and daddies! 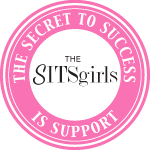 As parents, we believe that our kids deserve the best of everything - the best toys, the best food, the best education. But do they have the best yaya? 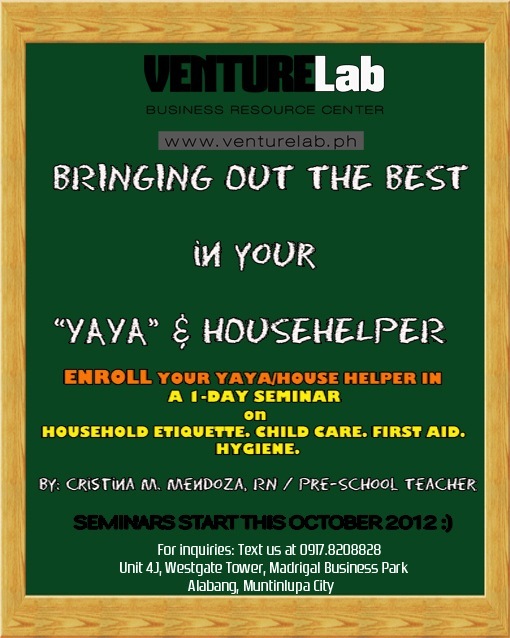 Last October, VentureLab Business Resource Center has started the "Bringing Out The Best In Your Yaya & Househelper" seminar. It is a one-day seminar for yayas and househelpers that focuses on household etiquette, child care, first aid and hygiene. Since then, it has been available every Saturday. For more information, you can visit their website at VentureLab.ph or email them at info@venturelab.ph.